Earth’s poem is a water drop that bears the birth of Earth. This water drop will allow plants to bloom and to bring life. 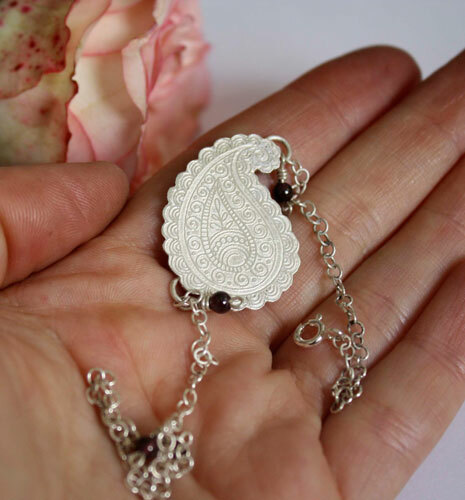 Garnet beads come to complete this ode because it is the symbol of abundance. In the center o the drop, earth is represented by lines and circles and above, a little tiny plant is starting to unroll and remindsus of the beginning of life. 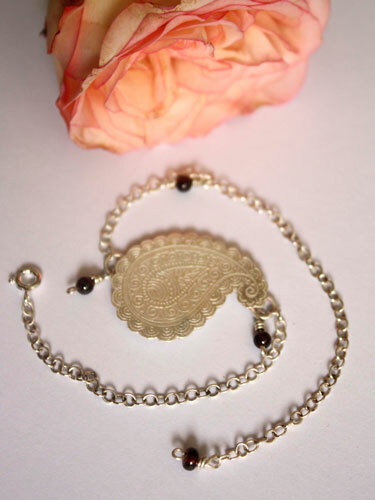 This bracelet/anklet is made of a sterling silver chain and of deep red garnet beads. 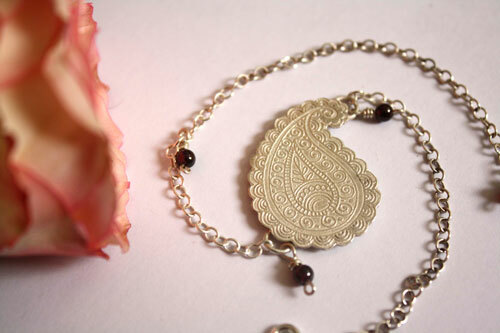 The focal pendant of this bracelet is in the shape of paisley drop which pattern was inspired by mandalas and henna designs. 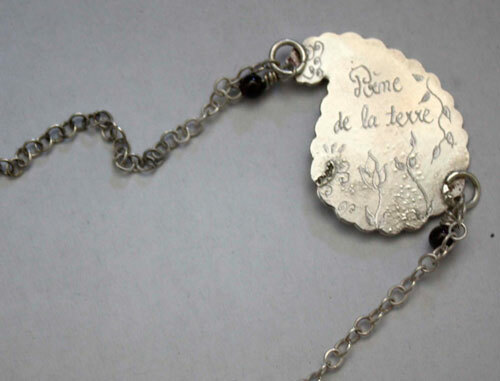 The bracelet is 23 cm long. The fastener can be closed directly on the links of the chain to your desired length. 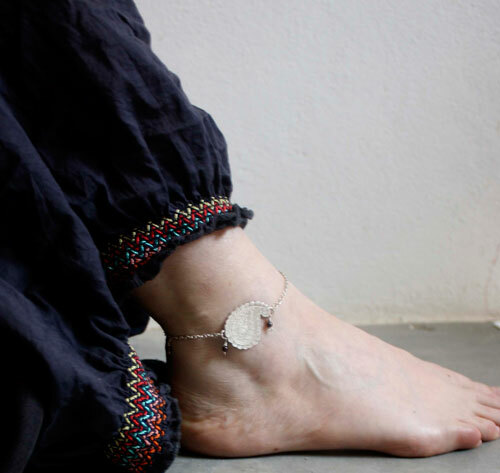 This will allow you to choose the length if you prefer to wear it as a bracelet or as an anklet. Shiny finish. It is perfect to wear every day. Discrete. Delicate. Feminine. 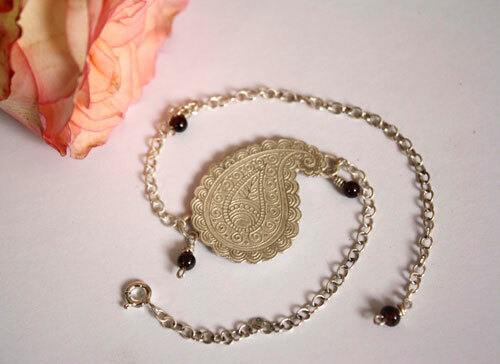 Tag: bracelet, sterling silver, anklet, garnet, red, drop, kashmir, paisley, mandala, India, natural, handcrafted, vintage, old, feminine, delicate, gift unique, ethnic, nature, elegant, discreet, water, indian, oriental, life, abundance, symbol, engraved bracelet, engraved anklet, etched bracelet, plant, bud, earth, circle, dark red.